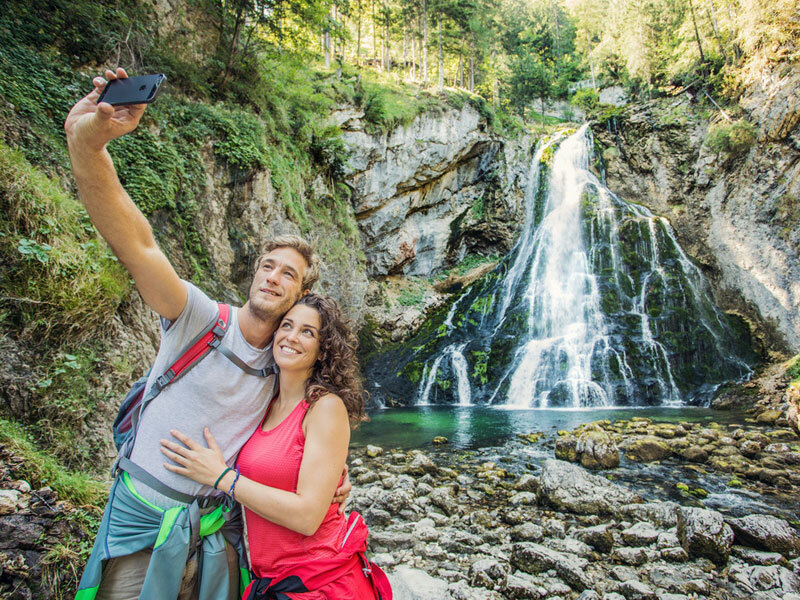 An impressive waterfall, imposing natural landscapes, fascinating mountain panoramas, a grandiose gorge and magical countryside – promising unforgettable excursion destinations for the whole family here in Golling. 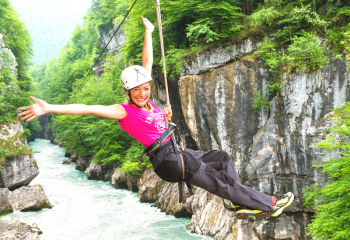 Located right next to our hotel is the entrance to the Salzachöfen gorge. There, from May until October you can experience the unbridled power of water. This imposing ravine cutting through the Dachstein limestone between the Tennen- and Hagengebirge mountains is over 80 m deep in parts. Immerse yourself in a primordial world and walk in the footsteps of Stone Age hunters and gatherers. 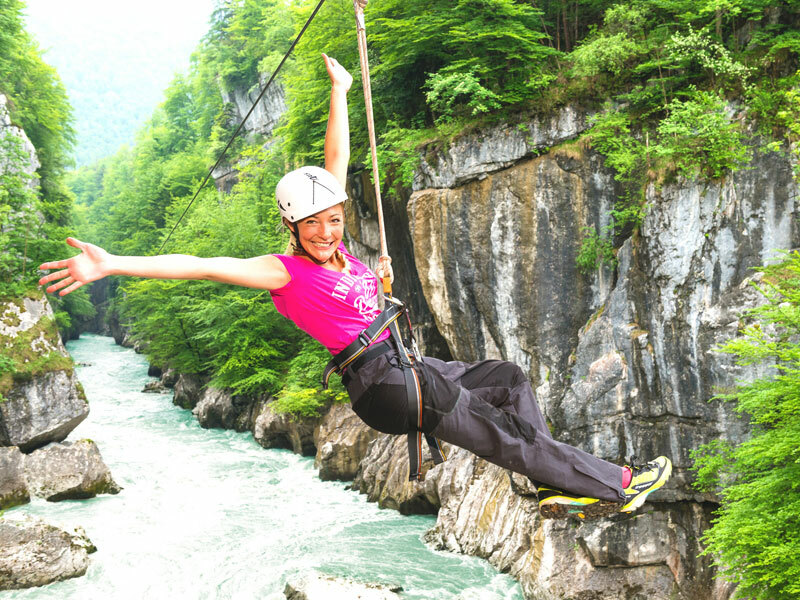 Join a guided tour as you explore Salzachöfen gorge, then, at the end of the hike, ride the Flying Fox – an 80 m-long steel zip line – out over the water. In the Torren part of Golling, close to the remarkable Late Gothic pilgrimage church of Saint Nicholas, Golling Waterfall plunges in two stages an impressive 75 m to the valley below. A small forest path leads you on a walk out to the waterfall, while a set of steps will bring you to the spring from which it emerges. This particularly popular excursion destination can be visited from May until October and is a great idea for a family outing! 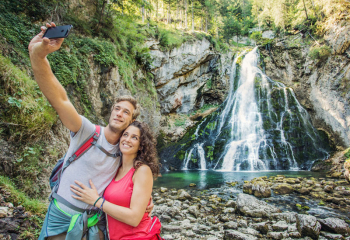 Bluntautal Nature Sanctuary is unique in its natural beauty and undoubtedly one of the most enchanting stretches of countryside in all of Salzburger Land. The unique mountain world is reflected in the crystal-clear water of the Torrener Ache, while brook trout splash about in the deep-green lakes. Regardless of the season or the weather, Bluntautal offers a wide selection of recreational opportunities. While a Kneipp facility provides welcome refreshment on hot summer days. 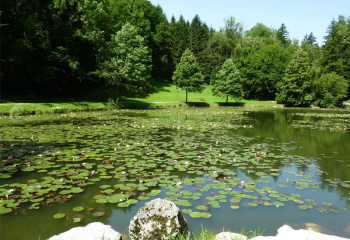 Just beyond the far side of town, you will discover an idyllic lily pond, hidden amid green park-like grounds. 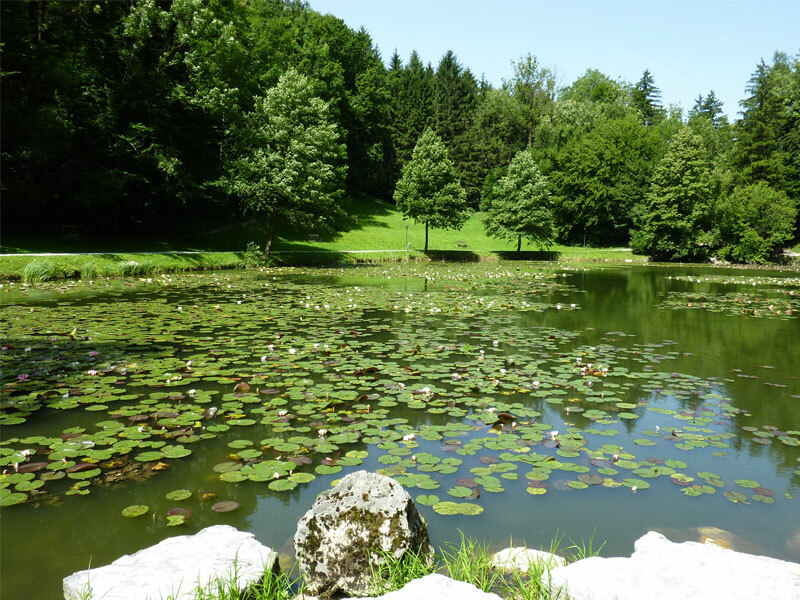 A place of complete tranquility and relaxation, the Egelsee is an ideal spot to enjoy the countryside and recharge your inner batteries. If you explore the Path of the Seasons, a series of info boards give you an opportunity to get to know nature more closely. They describe native animal and plant life, while the kids are also certain to have lots of fun playfully discovering the forest. Along this approximately 1 km-long path with 32 info stations, visitors are accompanied by the raven “Hias” - a perfect hiking experience for the whole family. This pathway is also suitable for prams! 13th-century Golling Castle stands on a gentle rocky hilltop in the heart of this market town. 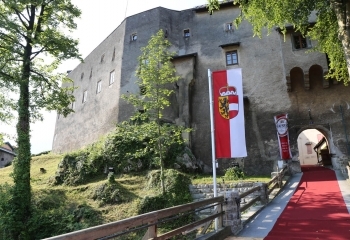 Over the course of the year, it hosts numerous events including folk evenings, summer concerts, “Cinema under the Stars” as well as a festival. 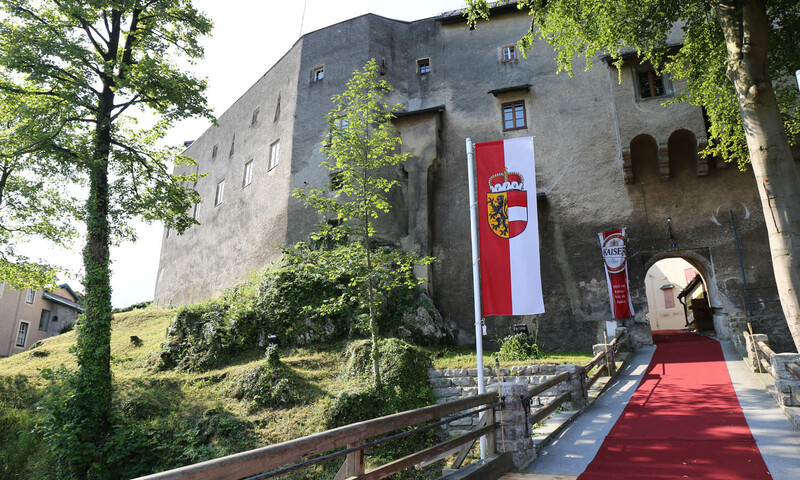 In addition, the castle is also home to a multiple-award-winning museum. There, you will be able to learn much about the history of the castle as well as the town of Golling. You can browse unique fossils and minerals, a valuable collection of historic timepieces, as well as special exhibitions that rotate on an annual basis. Sauna- & Wellnessparadies Aqua Salza is nestled amid the imposing scenery of the mountains close to Salzburg. Whether in the children’s area with a fun-pool and slide, in the full swimming pool or the wellness oasis – Aqua Salza promises bathing enjoyment for visitors, big and small.